The family of a rugby league player have spoken of their devastation following his death from injuries suffered during a game. 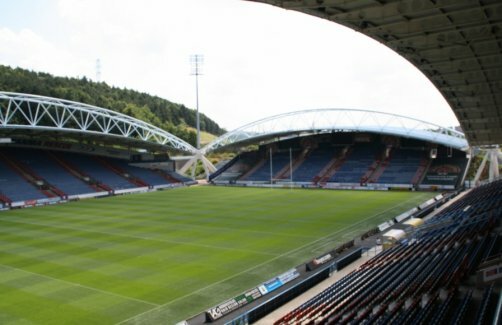 Huddersfield Giants Academy centre Ronan Costello, 17, was left in a critical condition following the incident in the match against Salford City Reds at the weekend. We are absolutely devastated to lose Ronan so tragically and suddenly. Ronan was a loving and caring 17-year-old lad who was dedicated to his family and friends. He was a credit to all of his family and we are so proud of him and his achievements. "He was passionate about rugby and rugby was a big part of his life. We acknowledge that this was a tragic accident. As a family, we wish to extend our appreciation to Leeds General Infirmary’s neuro intensive care unit for their dedication, respect and efforts in caring for Ronan and to The Giants, especially Andy and Richard who have been a great support to us all during such a difficult time. We would like to thank everyone who has supported us but we now need some privacy and time to grieve. "We are all truly heartbroken and Ronan will be missed and forever in our hearts." It is with regret that Huddersfield Giants wish to inform everyone of the passing of 17-year-old academy player Ronan Costello today. Ronan was airlifted to the LGI on Saturday afternoon after he was injured during the Giants academy game with Salford. "The club have been asked by the family to send their thanks for the messages of support they have received to date and have requested that all well-wishers now allow them to grieve and respect their privacy." We are all incredibly saddened by news of the death of Huddersfield Giants Academy player Ronan Costello. It is a terrible tragedy and our thoughts and prayers are with Ronan’s family and friends at this time.